After nearly a 20 year restin' spell, farmer Jones and his faithful companion are out of retirement and poppin' up in yards all over the country! 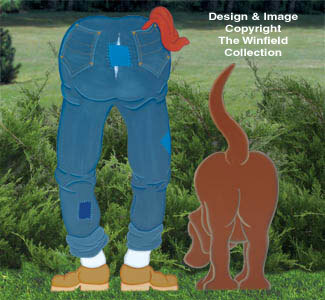 This comical project is a breeze to make from our full-size pattern. Man is 42" tall and dog is 34-1/2" tall.